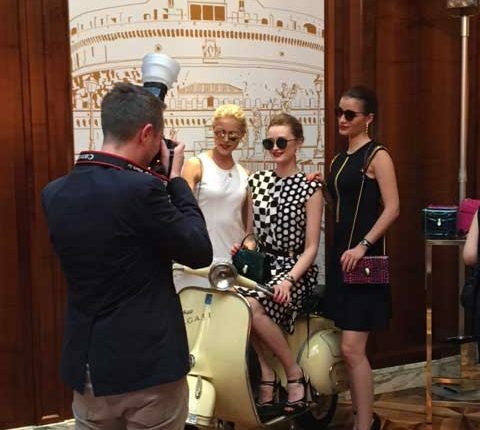 If you are looking to add a large slice of vintage glamour to your event the current must have for our luxury client is a Vespa! 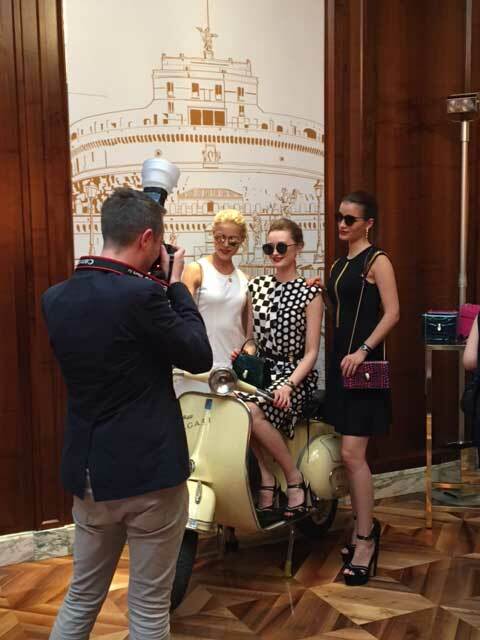 We think our scooter looks absolutely fabulous seen here in a recent fashion show in Mayfair, London. 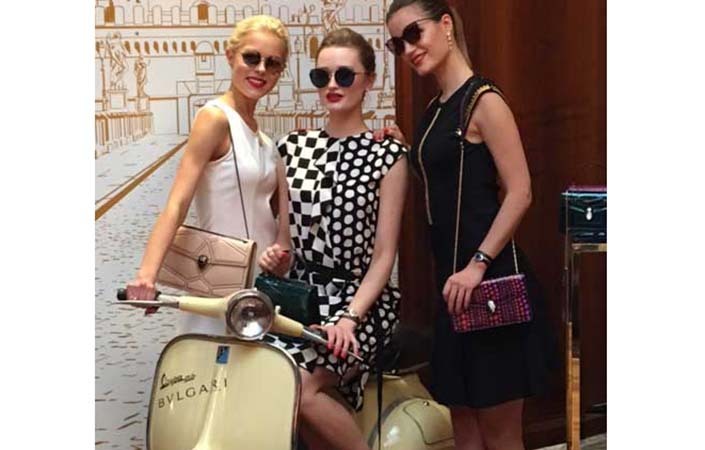 Organised by Polar Black Events, and in a whirlwind of anticipation we whisked our cream Vespa off to the Bond Street store of Italian jewellery and luxury goods brand, Bulgari, for their 2017 Trunk Show event.